Gospel singer Tamela Mann is one a mission to live a healthier lifestyle for herself and her family. She is now a celebrity ambassador for Weight Watchers. Tamela said she decided that this is the help she needed because she could not do it on her own. She also wanted to inspire her husband, David Mann, her children and others who are on the same journey. Weight watcher’s, or WW, as they are called now has shifted their focus from dieting to overall wellness. La La Anthony Is Pregnant? …that is for her latest role! La La Anthony is expecting in her latest role. She is starring in a new Netflix holiday movie called, ‘Holiday Rush‘. The film directed by Leslie Small also stars Tamala Jones, Deon Cole and Darlene Love. It is set for release this fall. Netflix announced on Sunday that Homecoming, based on her performance at last year’s Coachella will be available to stream on April 17. Beyonce was the first black woman to ever headline Coachella and paid homage to Historically black colleges and universities. Over the weekend, the festival made the announcement saying it was due to production delays. Other artists performing include Ariana Grande, Janelle Monae, Anderson Paak, H.E.R and Kid Cudi to name a few. The festival is April 12-14 and April 19-21 and Solange was one of the two Saturdays’ headliners. 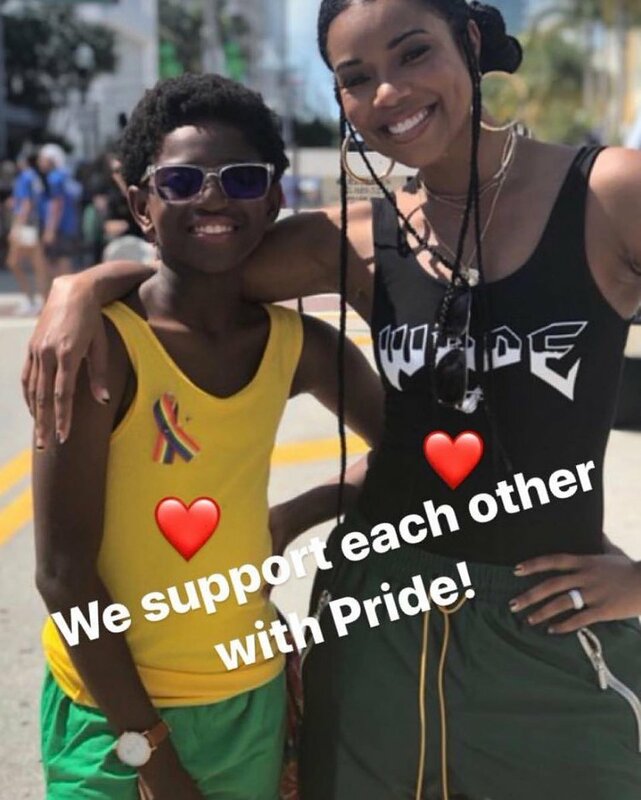 They showed lots of love to their 11-year-old son, supporting him as he attended Miami Pride over the weekend. The entire family attended the festival. Dwayne who could not be there showed love on social media writing, “We support each other with Pride!” Miami Beach Pride is a weeklong celebration with special events, social mixers, dance events, a VIP gala and Parade. The mission of the event is to bring together members of the lesbian, gay, bisexual, and transgender community, their friends, allies, and supporters in celebration of the unique spirit and culture of the LGBTQ community.